Hotel Shiwalik Regency is close from the station and bus stand. 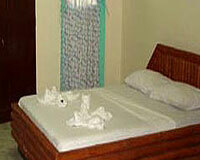 Hotel Shiwalik Regency is one of the popular budget hotels of Shimla. It is easily accessible from all the places. It is ideal destination for the tourists as it provides all the facilities and services. The hotel holds a strategic location which is an added advantage. Hotel Shiwalik Regency has 24 Standard rooms categorized as Classic Room, Deluxe Room and Super Deluxe Room which are provided with all the modern amenities. The rooms provide an excellent view of the adjacent places. All the rooms have TV with satellite connectivity, telephone, attached bathrooms with hot and cold running water, round the clock room service and separate lobby.